Global Groove's children's room decor collection, launched in October, 2013 originates in the Kathmandu Valley of Nepal. We are excited to be working with Bijay and his team of creative and skillful artisans. The products being produced in this video include mobiles, girl's purses, headbands, and flag banners. 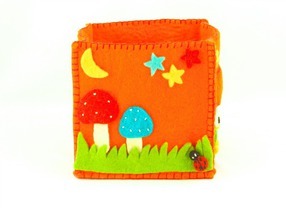 Storage Cubes - perfect for living or playing! 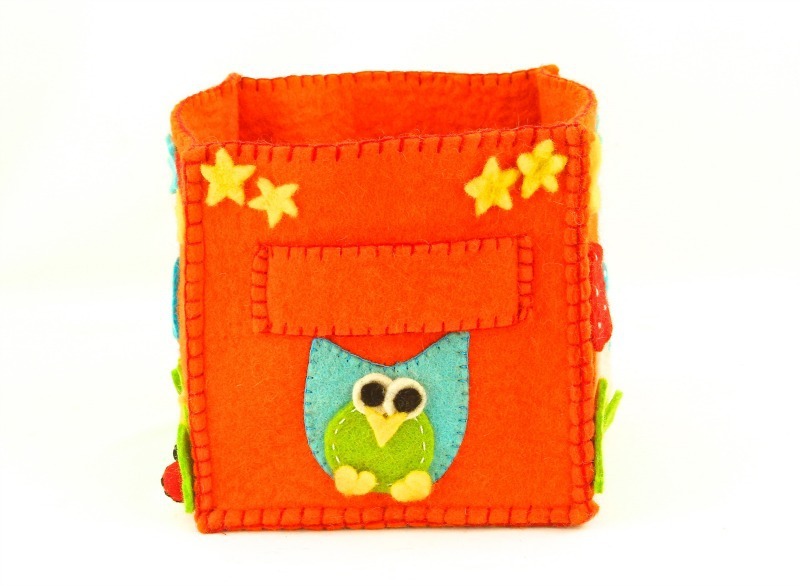 Owl: Have a hoot of a time with this hand-felted owl storage cube. Wild butterfly and mushroom scene on the opposite side. Easy-to-lift handles on 2 sides. Available in orange or hot pink. 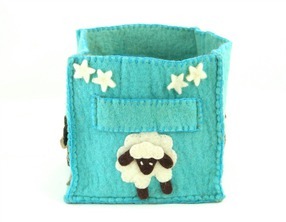 Sheep: Hand-felted count-your-sheep (or toys!) storage cube. Perfect for living or playing. Easy- to-lift handles on two sides. Available in pink or blue. 100% All Natural Wool. Measures 7.8 inches x 7.8 inches (20 cm x 20 cm). 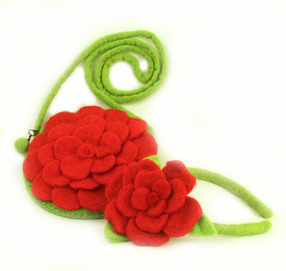 Rose headband and purse set. By purchasing a Rose by Hope Gift Set for the precious little flower in your life, you will personally be helping to send a Nepalese child to school so that she too, can blossom. 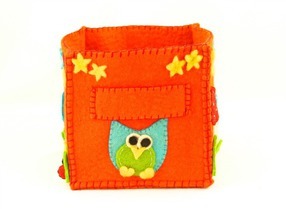 Each set includes a hand-felted pink or red rose headband with matching purse that your little one will just adore. Available in red or pink. Handmade in Nepal. Proceeds from each purchase will be donated to our partner school based in Kathmandu, Nepal so that together we can educate the next generation, one petal at a time. We have partnered with a private school that ensures proper education and support for its students who otherwise would not have the opportunity to excel. With your help, we will be sending girls to school and giving them a real chance at success! 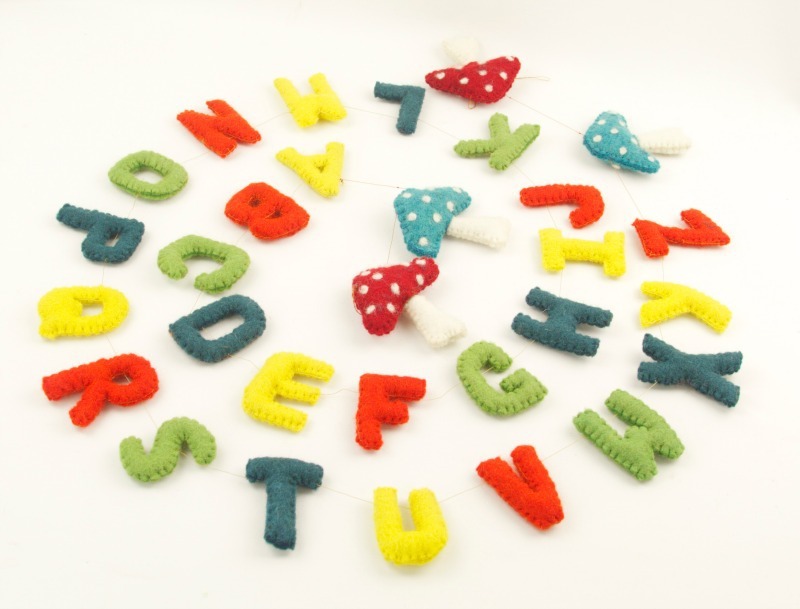 Adorable flag and alphabet wall hanging banner sets, perfect for any child's room. 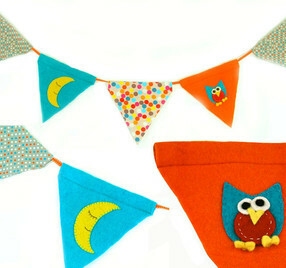 Owl: Each set includes a felted moon and felted owl banner, plus 3 unique polka dot cotton banners. Available with tangerine owl banner set (with tangerine-orange ribbon for hanging) or turquoise owl banner set (with hot pink ribbon for hanging). 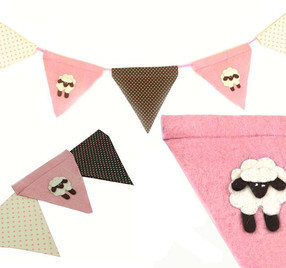 Sheep: Sweet-as-a-sleeping baby, this handmade banner is a soothing addition to any nursery. Each set includes 2 felted sheep flags, plus 3 unique polka dot cotton flags. Ribbon for hanging included. Available in blue or pink. 100% All Natural Wool and 100% Cotton. AZO free dyes. Felt made in Nepal. Cotton made in Thailand. Lovely handmade felt mobiles in a variety of fun themes! 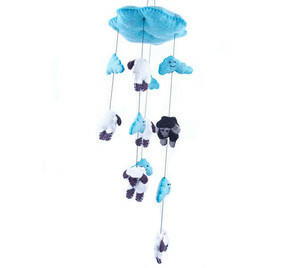 Baabaa Black Sheep: Beautiful hand-felted have-you-any wool mobile with colored clouds and sheep to help get your little one to sleep. Hangs on 4 unique strands with a mixture of clouds and sheep. Available in pink or blue. 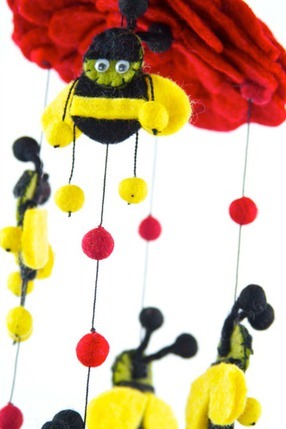 Bumble Bee: Get your buzz on with this hand-felted flower and bumble bee mobile. Hangs from a colored flower with 4 unique strands of bees. Available in red or pink. 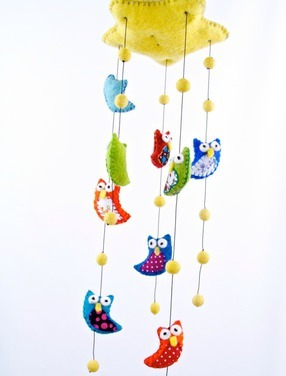 Owl: Hand-felted wool star mobile with owls. Let these be the only night-owls in your house! From a yellow star hangs 5 unique strands with colorful owls. Accent fabric is upcycled sari fabric making each mobile truly unique. No two are the same! Available in primary colors or with pink. 100% All Natural Wool. AZO free dyes.